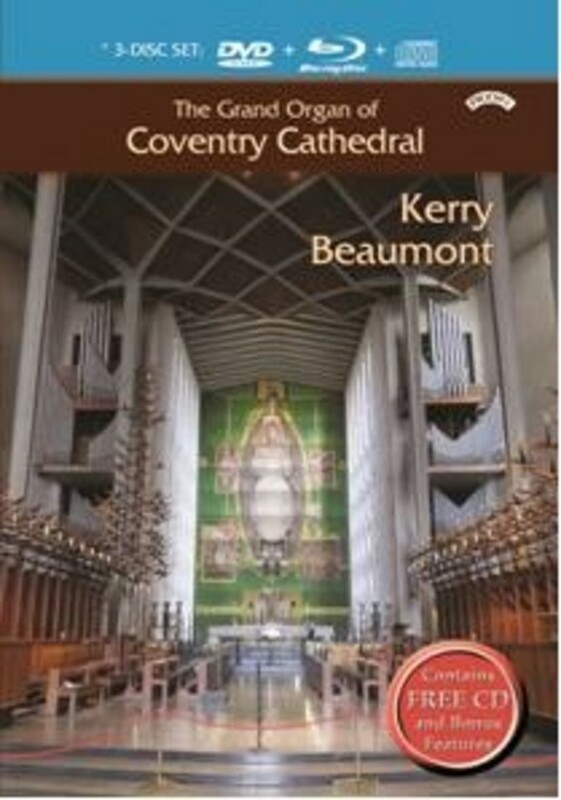 This is the 13th issue in Priory’s best-selling “Grand Organ Series”: it includes both Blu-Ray and DVD. This time the superb Harrison and Harrison Organ of Coventry Cathedral is under the spotlight, in a recital with a theme of the damage to the city in World War 2 and the reconciliation thereafter. The programme is a mixture of works which reflect this: the music is available in both 2-channel stereo and 5.1 surround sound. The bonus features include a full demonstration of the organ, a demonstration of the two Chamber organs in the Cathedral and a split-screen talk through of the Cholley Rumba and its registrations. A production definitely not to be missed!